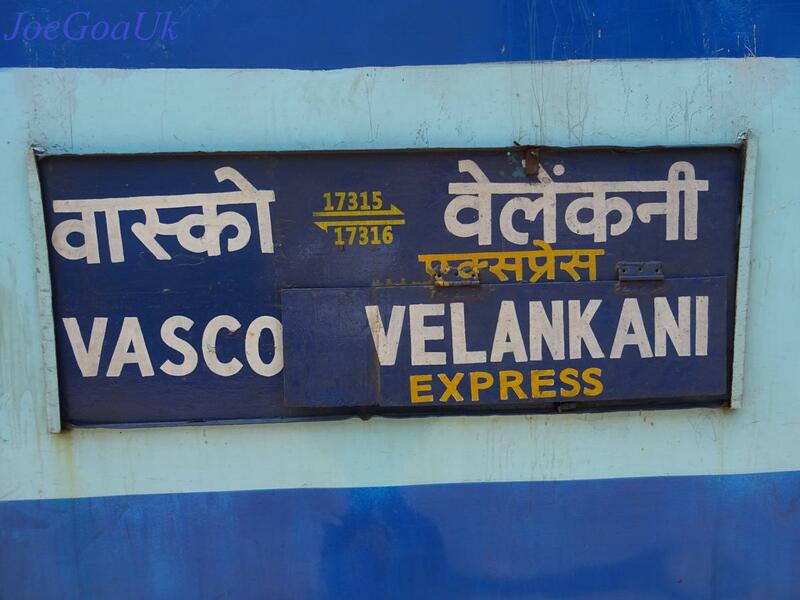 Velankani Express arrives/departs Salem at 04:00/04:05 hrs., Vridhachalam Jn., at 06:30/07:15 hrs., Cuddalore Port at 08:20/08:40 hrs., Mayiladuturai at 10:00/10:05 hrs. and Thiruvarur Jn. at 10:50/11:10 hrs. Reserved passenger to Erode, Karur and Tiruchchirapalli by Train No. 17315 will be moved by Road ex Salem on 27th March, 2018. 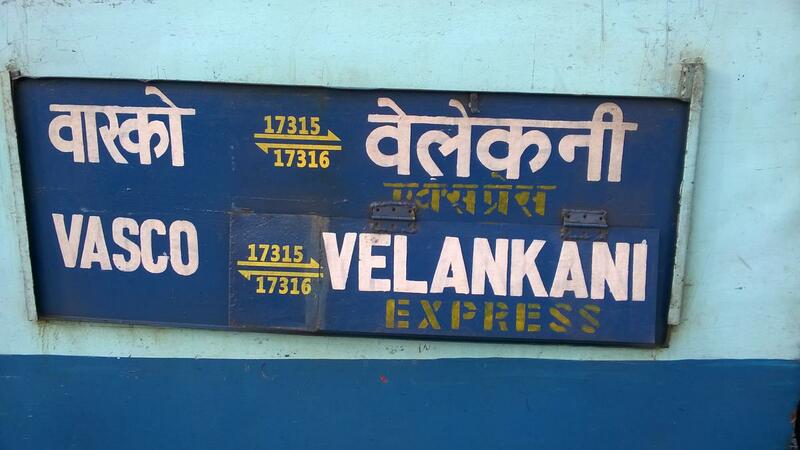 Reserved passenger to Tanjore by Train No. 17315 will be moved by Road ex Thiruvarur on 27th March, 2018.
and food is served at Dharwad. Night - Chicken/Egg/Veg Curry Chapati, Veg/Chicken Dum Biryani, Order is taken at Davangere And food is offered at Arsikere. Quality if food is between average to good. Or if you want south Indian like Idli/Dosa/Sheera/Upma, as the train halts at Arsikere for 10 minutes and mostly as it comes before time, time will be sufficient for buying food from the caterers from Platform 1. 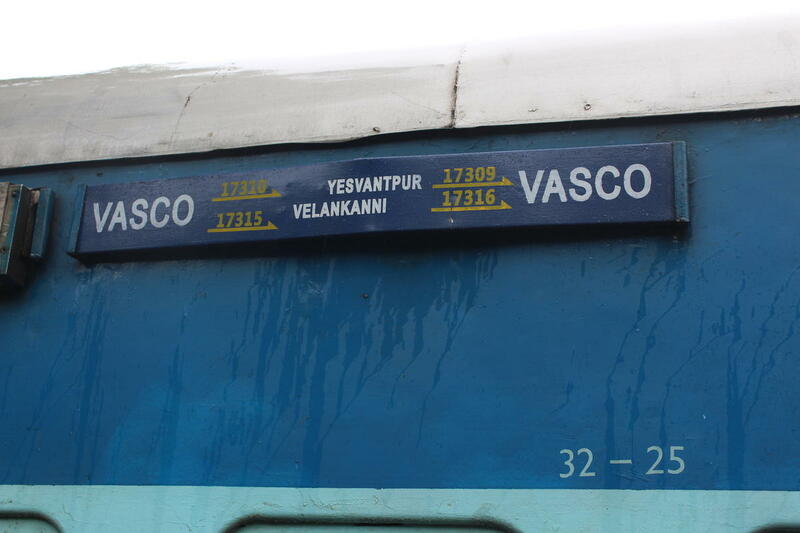 Next Day morning, Vendors will be selling Idli-Vada/Dosa/Poori in between Karur and Tiruchchirapalli Jn. Or, The train arrives platform 1 at Tiruchirapalli Jn around 8 am and halts for more than 30 minutes, you can avail variety of breakfast at Neethus kitchen. 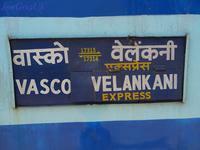 The Shortest Route between Vasco da Gama and Velankanni is 170 km (13%) shorter.